Last week I told you that Golden Blossom Honey has added some new products to their lineup, and I introduced you to their Honey Mustard. This week is all about their Raw Honey! 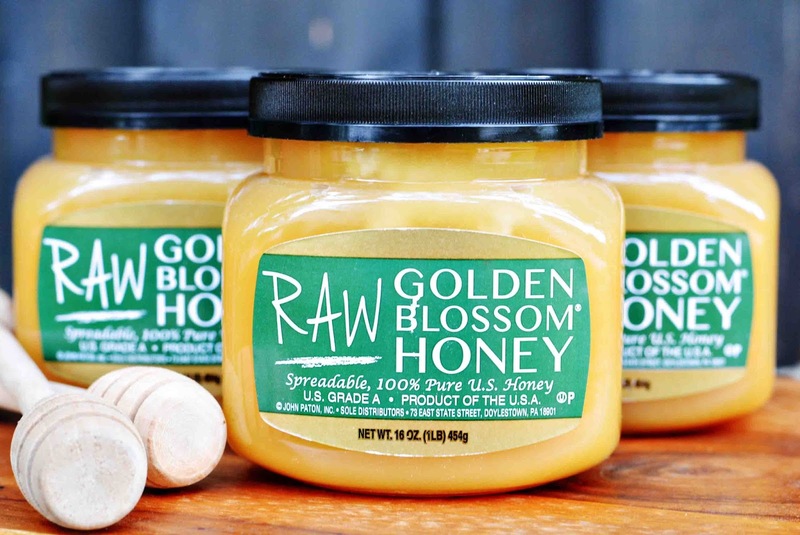 I love using the raw honey because it offers amazing benefits over its processed counterparts. Golden Blossom's Raw Honey is delicious, spreadable, 100% Pure U.S. Honey! One of my summer bucket list items was to make homemade ice cream with the girls. Jason and I had thought about buying an ice cream machine because we spend an obscene amount of money going out for the tasty treat, it would probably be wise just to invest in one, right? I haven't had much time to look into what machine would be best for our family yet, but I did have the opportunity to make my own Frozen Fruit Yogurt without a machine last week, and I was pretty psyched at how easy it was to make on my own! Make this with pineapple or mango for a refreshing summertime treat. I think I'd also like to try it with strawberry too, because I am really digging a strawberry mint combination right now. Do you have an ice cream maker? Would you rather make your own ice cream or buy it? That raw honey does look highly interesting! And practical for certain things! What kind of heathens are you living with that would steal your ice cream. That would be grounds for eviction here! I hope you track down the culprit and give him a black eye. I am sure you would have shared if they asked nicely. Geesh! I can't believe the nerve of some people! My grandparents had a commercial sized ice cream maker, that thing was huge and heavy. Most things back them were huge and heavy. It's amazing how far technology has come! I got an ice cream maker about 4 years ago and it's still sitting in the box. I need to bust that baby out. Yes please! It looks wonderful. They have a lot of great products! That sound so amazing! I love frozen yogurt. It's a much healthier alternative to regular ice cream. That look so good! I love all these creative recipes you've been giving us. I've always wanted to cook with honey in some way, but I just never had anything to guide me. I love frozen fruit yogurt in the summer. It's the perfect way to cool off when it's hot. Mmm, I'd love to try these flavors. Pineapple mint would be my first choice. It sounds great. This is a yummy-looking treat. I like the honey-flavor idea. I love the taste of homemade, but I'm not big on lots of kitchen appliances. I'd choose to just buy it. 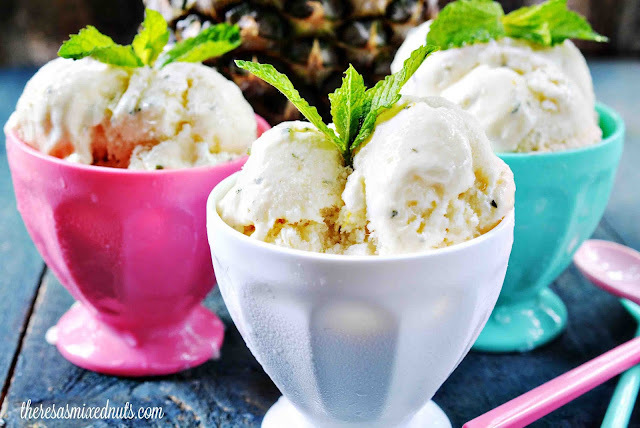 I love frozen yogurt and this recipe looks great! I cant wait to try this. 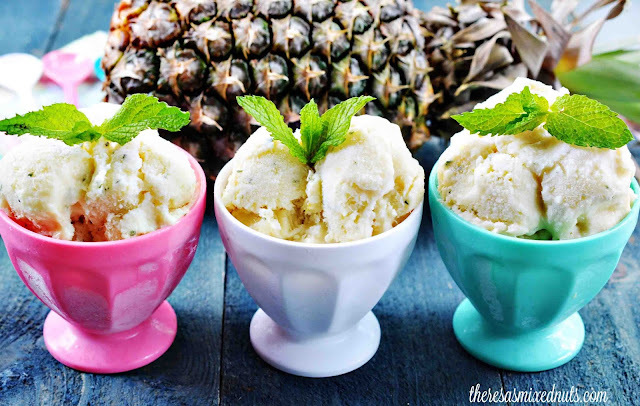 Oh my gosh, this is going to tempt me to buy an ice cream machine just so I can make this! I love frozen yogurt. Yummy! Fresh fruit and all natural ingredients sound like a deliciously awesome way to beat the summer heat. I bought some amazing raw honey at the farmers market I love using fresh fruit that I purchased at the farmers market recipes are right up my alley. These look delish! Pineapple Mint?! That's an interesting combo! Sounds refreshing! This recipe looks so delicious and easy to make. I will have to get the ingredients I need to make this. My husband would go nuts over this. He literally sit there and eat an entire jar of raw honey. I can't blame him, it's amazing! Never heard of this brand! That recipe sounds amazing. It will be a perfect cool treat on a hot summer day. That is some awesome looking homemade ice cream! I really couldn't tell the difference between it and store bought. I will take some, please! This is such an easy and refreshing treat to make during the summer. I love the mango flavor idea. Wow, I want to try this. I super like yogurt especially the Greek yogurt and I want to try it frozen. That yogurt looks refreshing and delicious. How awsome that you made frozen yogurt at home, and w/o a machine. That's talent. :) I'd try this honey, I've only had the processed kind before, I'd love to see if I could detect differences between the two. they look super fresh, yum and healthy indeed, Theresa. With the heat squirming around, it will be a hit in my house! I have really been thinking about getting one. We tried a sample from the machines they were promoting at Costco and thought the strawberry "ice cream" it made was really good! Mmmmmm, I could eat this every single day of my life. It sounds sooooo good.